When thinking about putting together an eCommerce store, the two platforms you should be considering are WordPress or Shopify. In our Shopify Vs WordPress article, we compare the two to help you choose which option is right for you. In this tutorial post, we’ll show you how to create an eCommerce website for 2018 using WordPress. In fact, we’ve create a step-by-step video that you can watch, that will show you exactly how to customize the website we’re going to build, to suit your business or brand. You can view the live demo of the site we’ll create here: Neto eCommerce Demo. Leverage demo content for your website, to help get you up and running quickly. We believe the most important thing to creating a successful eCommerce website is to begin with the end in mind. If you’ve got a clear picture on what your website is going to look like, how products will be structured, and how you’ll use additional pages like your blog to assist in driving traffic to your site, or an FAQ page and other information pages to improve the user experience and communication flow, you’re bound to get a better result. 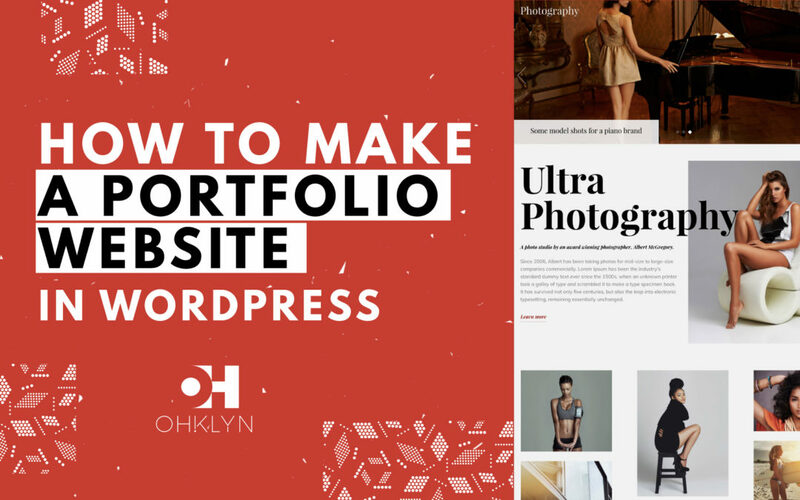 To get the most from this tutorial, we recommend that you put together ahead of time any branding assets, such as your logo, hero images, and the color pallette you wont to use for your site. This should be in the form of the hexadecimal color codes you want to use. Images – this should include both a feature image, as well as additional supporting images, referred to as gallery images. All your images should the same sizes to ensure consistency. Depending on which theme you use, you’ll be able to find the minimum recommended images sizes for each type of image, that will be used on you site. Try to keep the file size of each image as small as possible (less than 500kb), so that it doesn’t impact your page load speed. For this tutorial we use the Neto theme by CSSIgniter. This theme comes with 10+ pre-designed homepage layouts to choose from, and by the end of this tutorial you’ll be able to combine elements from different layouts, to create an infinite amount of layout options. The popularity of WordPress in recent years has been largely driven by its intuitive user interface. However, there are still a few things that you’ll need to wrap your head around in order to get the most out of the platform. Below, we’ve outlined the core features of WordPress and how to use them effectively. For a more in depth look at each element, watch the video below or read our Introduction to WordPress article which goes through each of these in more detail. Posts – Unlike pages, posts are used to publish any ‘blog content’ and typically associated with a category or grouped within a specific topic. By default, posts displayed are pulled into a homepage or blog page in reverse chronological order with more recent and relevant content visible immediately for users. Menus – Menus are the primary vehicle for users to navigate through your WordPress website. By default every theme will have a primary navigation menu, however, many themes will provide you with the option to have multiple menus, as well as mega-menus..
Media -The media section of WordPress is where you upload all your images and other assets. It is recommended that you avoid uploading videos to your WordPress media library. Instead, use a video hosting service like YouTube or Wistia, as hosting videos on your WordPress host will drain your resources. To learn more about each setting, review our Introduction to WordPress for beginners article. Theme settings / customizer – Although the theme customizer settings will be different for every WordPress theme, how you go about customizing your website will be similar. The theme we’ll be using is called Neto by CSSIgniter. If you don’t like the design of this theme, check out our review of the best eCommerce themes for WordPress, choose one from there, and follow along with the steps in the video. Navigate to the member area, select the Neto theme, and click on ‘WordPress’ to download the theme file. WooCommerce – this adds eCommerce functionality to your WordPress website. Contact Form 7 – if you want to include a contact form on your website, Contact Form 7 is a solid form plugin. However, it’s not the most intuitive to use. There are some more intuitive drag and drop options like NinjaForms, WPForms, or gravity forms. Alternatively you can integrate a form from your CRM if you opt to use one. WP Instagram Widget – which will allow us to include an instagram feed in the footer or sidebar of our site. MaxSlider – if you want to include a slider on your homepage you’ll need this one, and if not, then you can skip it. Elementor Page Builder – which we’ll use to easily create the layouts you want, via a drag and drop interface. Login to your member area of the CSSIgniter website, select on the Neto theme, and click on ‘sample content’. This will download the demo content as a .zip file. If you want to incorporate an image or video slider into your website, with the Neto theme, this is done using the MaxSlider plugin. The MaxSlider plugin leverages shortcodes that can be added to any page or post on your website to incorporate the slider. To configure the slider head to the MaxSlider tab in the admin dashboard. You can either edit an existing slide, or create a new one and update the slide values. Watch the video tutorial to go through customizing the slider to suit your website, or review the documentation on the CSSIgniter website. In the newsletter section on the homepage, the default design uses Contact Form 7 to include a signup form, however we’ll replace that with a MailChimp embed form. Follow along with the video above, remove the shortcode module, and replace this with a HTML module. If you have a mailchimp account, login to your account, or create a new one. From within the embed forms section for the list you want to add the email address to, pick the super slim option, uncheck the include form title box, and copy the embed code at the bottom. Navigate back to the Elementor page builder, and within the html snippet section paste the code. To ensure the styling matches the rest of your website, scroll up to the top within the html code that you just pasted in, to the part here that says ‘Add your own MailChimp form style…etc’, and add the CSS code listed below. To add a newsletter signup to your sidebar widget using your MailChimp embed form, you would add a new text widget to the widget area, and copy in your MailChimp Embed code. You’ll need to add some custom CSS to the ‘Add your own MailChimp form style…etc’ part of the MailChimp Embed code, like we did before. And that wraps up our how to create an eCommerce website for 2017 & 2018. Hopefully you’ve got a lot from our WordPress WooCommerce tutorial and feel confident to put together an awesome online store using WordPress and WooCommerce.